We’ve made it! 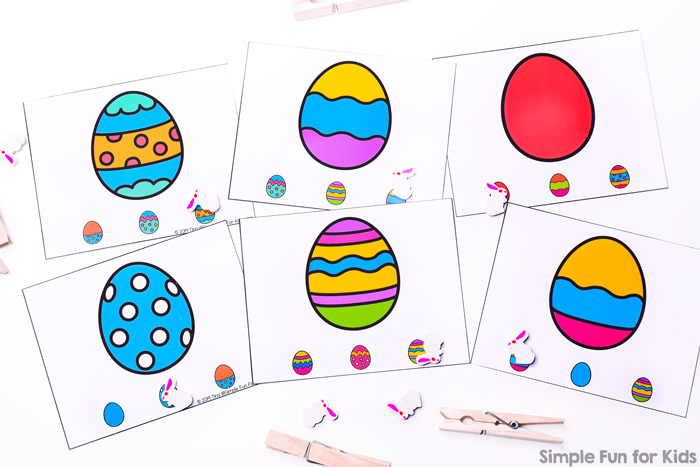 It’s day 7 of the 7 Days of Easter Egg Printables for Kids series and we’re closing another great Easter series. 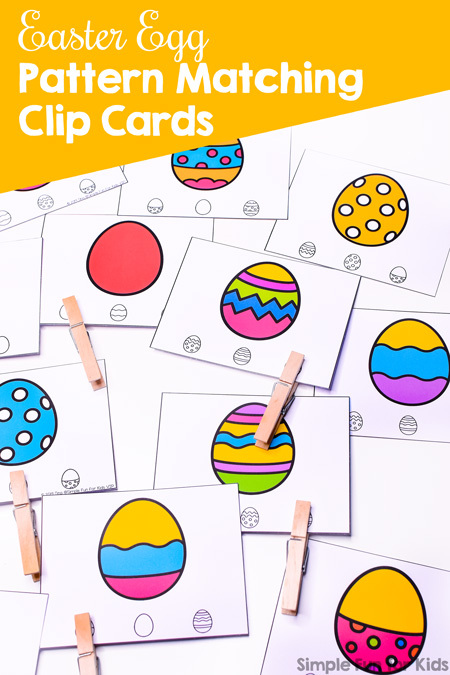 Today, I’m sharing some fun little clip cards: Easter Egg Pattern Matching Clip Cards! 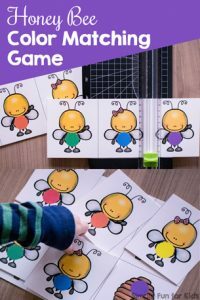 The free version of this file includes two pages of four clip cards each. They each show one colorful Easter Egg with an interesting pattern and three Easter eggs in blackline, one of which matches the colorful egg. 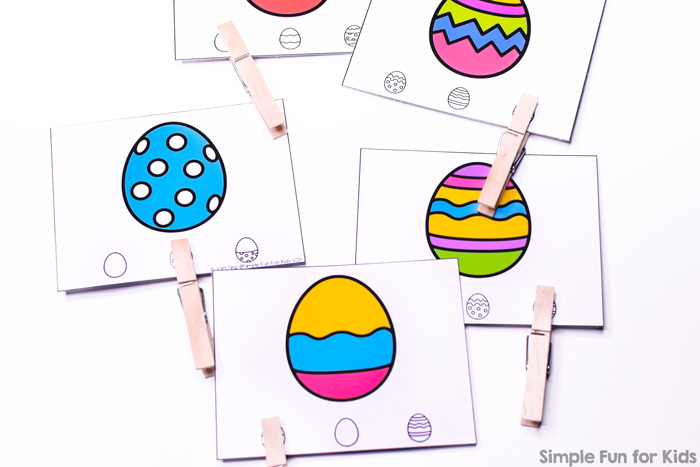 Mark the correct egg with clothespins or manipulatives. 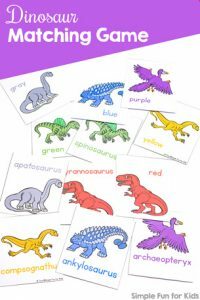 Print the page(s) you want to use, laminate them for extra durability, and cut them apart at the black lines. The VIP version of the file has the same two pages PLUS four more exclusive pages for a total of 24 clip cards. It includes the same blackline matching but also clip cards where all of the Easter eggs (big and small) are in color. Get the VIP file by becoming a VIP member OR by buying it straight from my store! 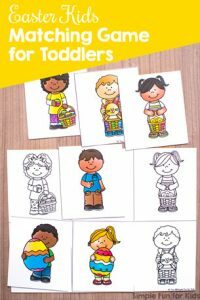 Do you teach toddlers and preschoolers? 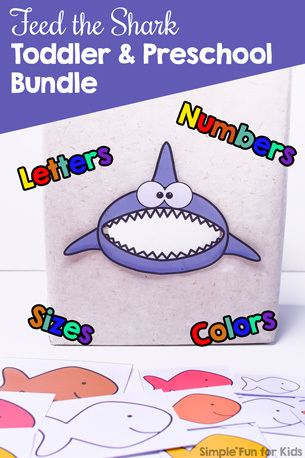 This Feed the Shark bundle includes all of the important areas of early childhood education: Letters, numbers (1-40), sizes, and colors. There are also matching storage labels and task cards. 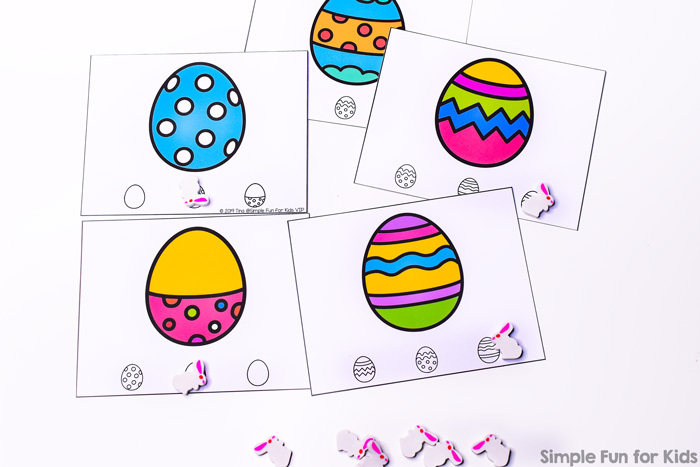 Download your free Easter Egg Pattern Matching Clip Cards! Or click here to see this page on my membership site and become a VIP member today! As a VIP member, you can also download the entire series with one click. 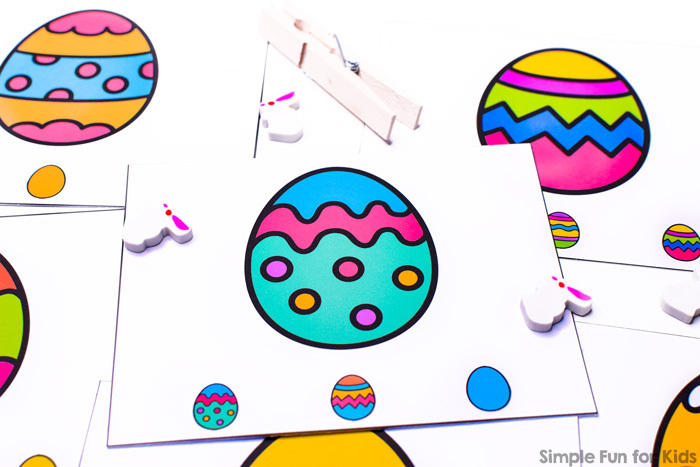 Easter Egg Matching Game for Toddlers, Easter Egg Counting Cards 1-12, Easter Egg Roll and Color Worksheet, and E is for Easter Egg Dot Marker Letter Find all use the same set. 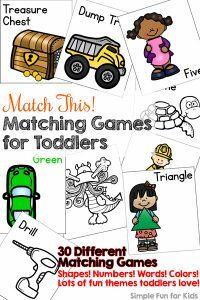 Are you looking for more matching activities?